Canyon Lodge, motel located in Panguitch, Utah. Reproduction for publication, exhibition, web display or commercial use is only permissible with the consent of the Sherrratt Library. 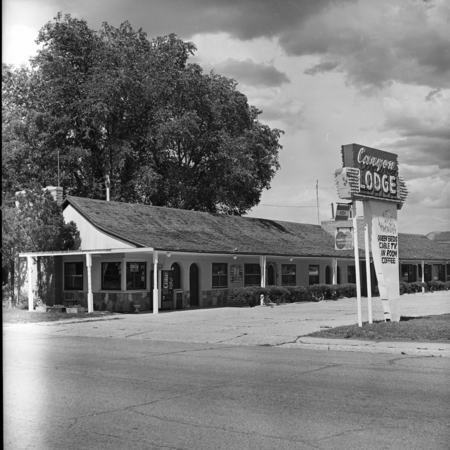 Crawford, J. L. (Jasper Louis), 1914-2010, “Canyon Lodge,” Highway 89, accessed April 25, 2019, http://highway89.org/items/show/326.